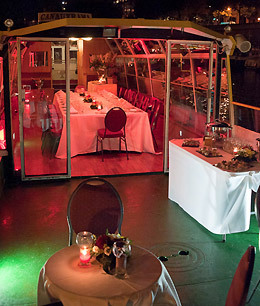 Champagne Cruise in a private room - Exclusivity low prices! 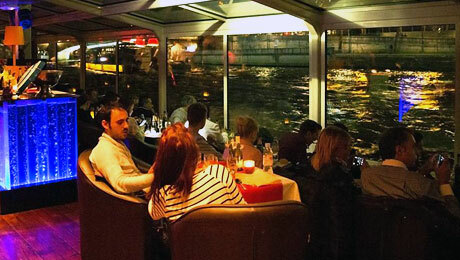 "1 hour cruise on the Seine, with a glass of champagne and a private lounge area." Privatization available between 10:30 a.m. to 11:30 p.m.
You have a small budget but you are looking for a special moment with friends or family. 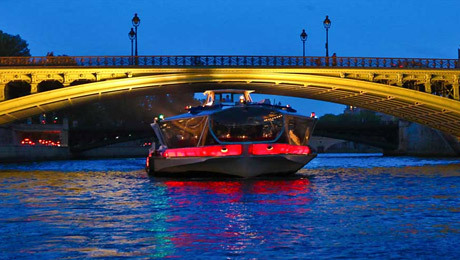 France Tourism has prepared a classic revisited: a cruise on the Seine River with a glass of champagne but in a private lounge at the tip of the boat. Dinner Cruise on private boat - Special Offer! 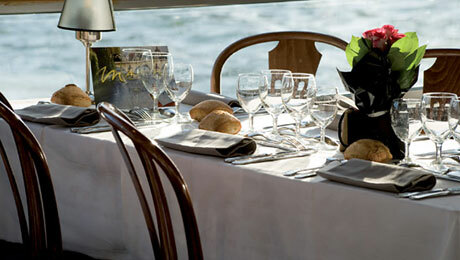 "Dinner on a charming boat with terrace, special small groups formula, great price!" Would you like to share a magical moment in Paris at a very competitive price ...? France Tourisme could offer you a dinner cruise with an exclusive price for a group from 25 people, on a boat with charming small back terrace. 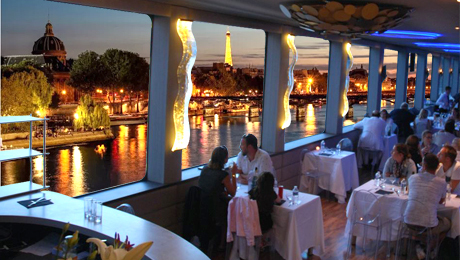 "An unforgettable lunch cruise on the Seine river!" France Tourisme propose you a new exclusive offer in 2019, a dream setting in front of the Eiffel Tower. For a unique moment in the hearth of Paris, a luxurious setting, a buffet lunch on a cruise, all at an extraordinary price. "Boat with roof terrace to admire the glittering Eiffel Tower"
Ideal offer to close your seminars days and welcome your family with a warm and elegant atmosphere. Good value for everyone, with attentive service. "Say YES in Paris ! 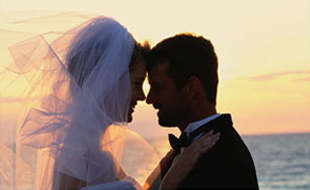 ..."
France Tourisme could organize your wedding party in Paris, during a dinner cruise on a private boat. With the unique background of Paris, during a full tour of 2 hours on the Seine River. 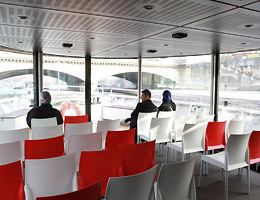 Also enjoy the free sound system of the boat for your dancing party.